‘Hang on!’ I hear you cry… OK, I’ve only done one cycling day so far but I couldn’t very well pass through what is arguably the birthplace of modern western civilisation and not pause for a look around. 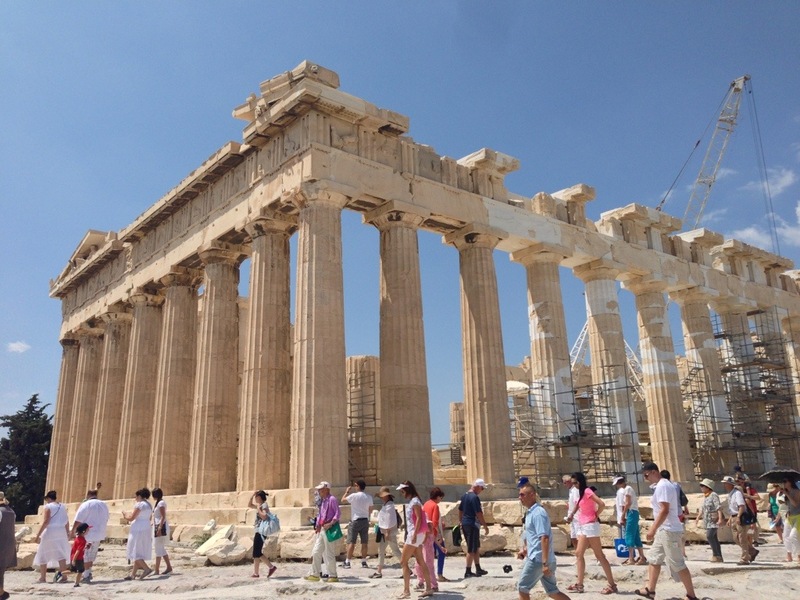 The Parthenon is the main attraction in these parts and if you ever have difficulty finding famous monuments in the cities that you visit, your next flight should be to Athens. Sitting as it does in its lofty position as part of the Acropolis complex, it’s impossible to miss and has been an almost constant in my eye line while I have been in the capital over the past two days. 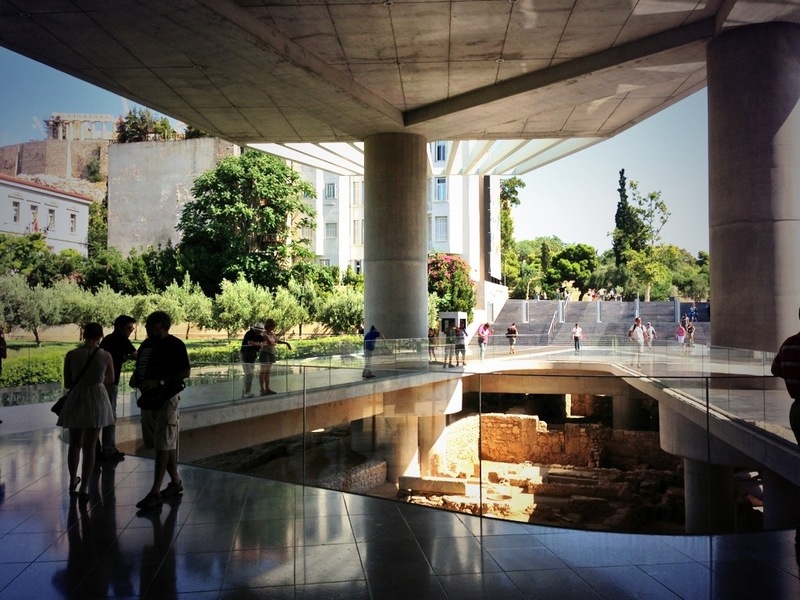 I didn’t really need a map to seek it out earlier today, it was just a case of wandering around its base in a clockwise direction until I stumbled upon the New Acropolis Museum just on the opposite side of the hill to my hotel. The plan was to meet Maria, the campaign manager of an association called Marbles Reunited whose aim is, well, just guessed it, to return the friezes and sculptures that were hacked away from the Parthenon in 1803 on dubious legal grounds (you can see where I stand on the subject) by Lord Elgin, the British ambassador in Athens and then spirited away (via a sinking and the sea bed for two years and his coal store back in London) and eventually end up in the British Museum where they continue to hang today in an uninspiring , drab gallery. Maria had agreed to meet me at 11am outside the museum and she turned up precisely on time. Half British, half Greek, Maria has a British mother & Greek father and spent most of her childhood in Greece before returning to London to study. She came back to Athens a few years ago where she now works as a freelance graphic designer, teacher & manager for Marbles Reunited. We decided that the best place to start the day would be on the mound itself so we wandered along the road leading from the museum towards the collection of crumbling temples that sit on top. Our entrance tickets bought we joined the tourist throng and gradually edged our way into the complex for a wander and a chat. Maria doesn’t claim to be an expert on the history of the site but she was very good and informative company as we stood, stared, wandered and occasionally stumbled on the rough ground in between the main points of interest. Despite the ongoing restoration work scaffolding and cranes that sporadically cover much of the building the Parthenon is a breathtaking edifice. The sheer scale of the thing would be impressive enough but then the precise symmetry of the architecture… OK. The Q.I. claxon would have sounded at that point. It isn’t symmetrical but it certainly appears to be, which, apparently is one of its many splendours. It is not symmetrical in order to look symmetrical! You’ve got to take your hats off to the ancient Greeks who built the thing. 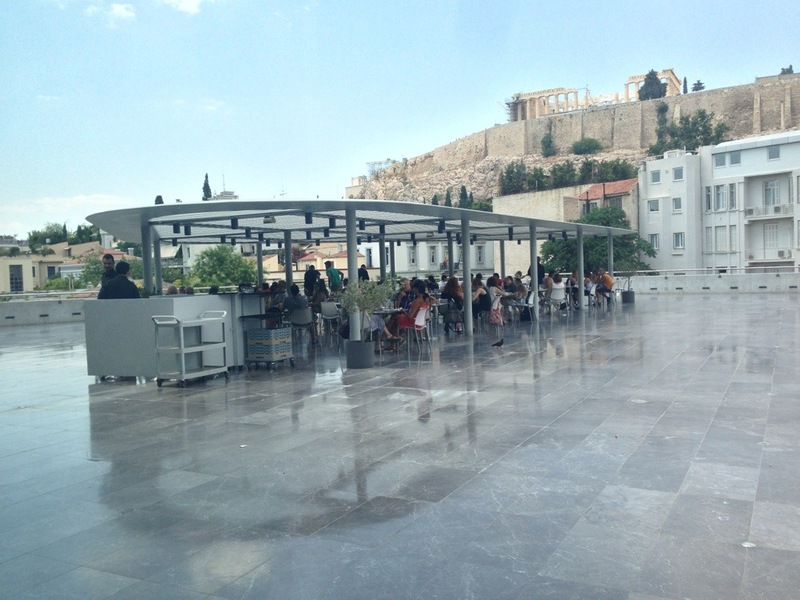 Our day together ended over lunch in the very reasonably-priced restaurant that is part of the museum and we chatted about Maria’s work for the association as well as modern day life in Greece. Like many of her Greek generation she finds the current economic situation a struggle but I got the distinct impression she was in no rush to head back to England. In such a stunning location it wasn’t difficult to see why.